The perfect holiday and summer shoes for younger boys. Perfect for by the pool, on the beach or in a muddy park. 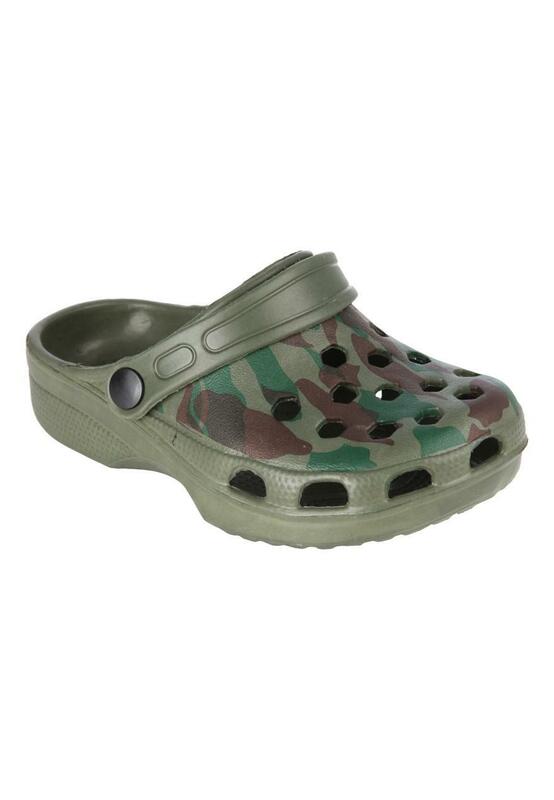 These clog feature an all over camo print and around the foot strap.